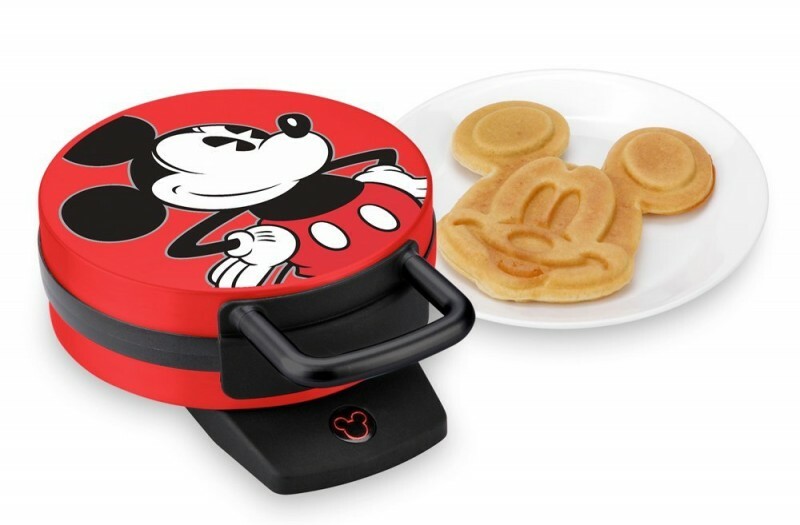 If you have kids who love cartoon characters waffles then they will surely love this Mickey waffle maker. It is not only good for your kids but it is also good for you as it takes up very little space in the kitchen and it is very easy to clean. Although it comes with an indicator light to show you when it is hot, it does not inform you when the waffle is ready which can lead to poorly finished waffles if you are not attentive. It is small in size so it takes very little space on the counter. 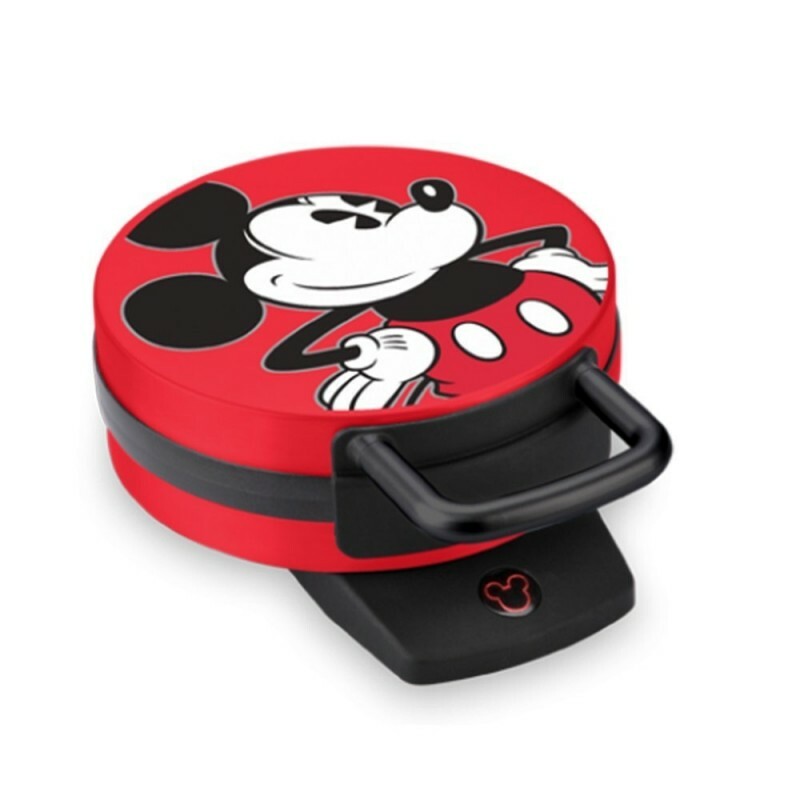 It is easy to clean since it comes with non-stick plates that will make your work easy during cleaning time. 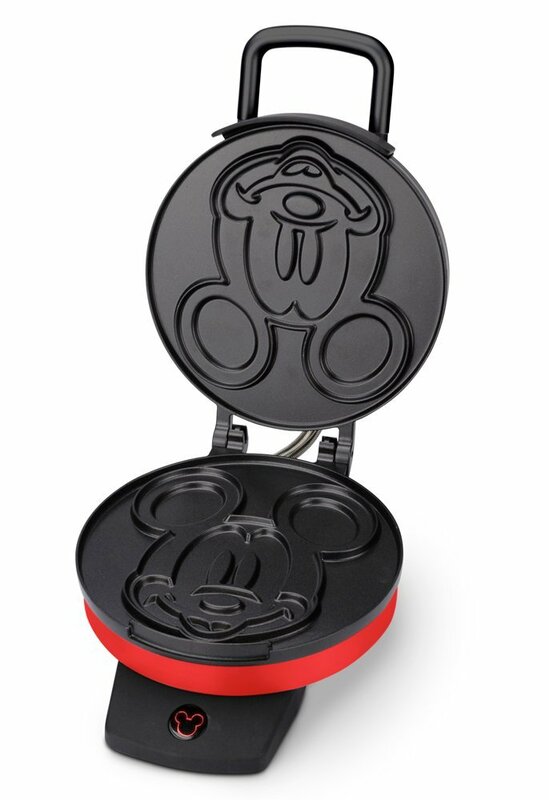 It will make your kids look forward to and enjoy their meal time since it makes waffles that are shaped like Mickey Mouse. It safeguards your safety thanks to its indicator light that will let you know when it is hot during the baking. It has a very stable base thanks to its rubber feet that make it hard for it to skid no matter the surface it is placed on. It is powered by 100 watts of electricity which means it generates enough power to ensure that the waffles bake evenly. 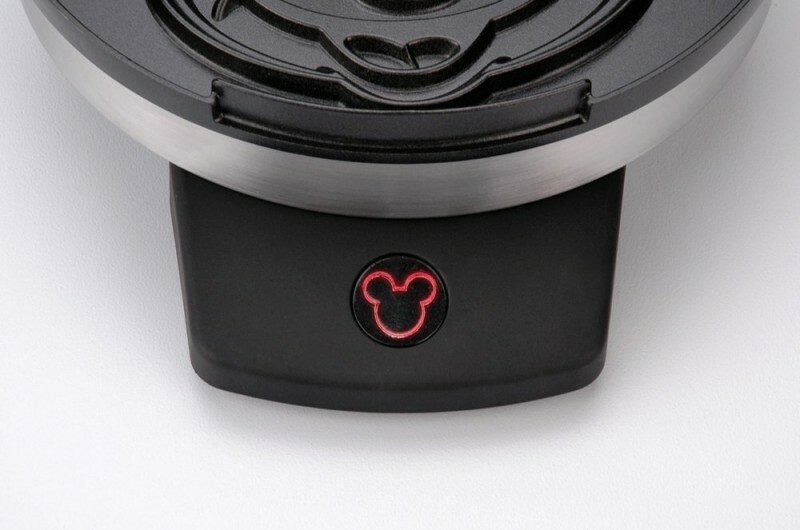 The indicator light on this waffle iron does not change colors from red to another color to show that the waffle is ready. The paint on the handle scratches off easily.